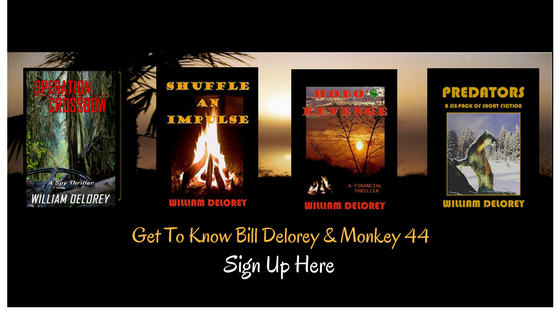 Monkey44 provides wildlife protection and conservation info, photo tips and writing tips. He shares readings and images he discovers while wandering the pathways that cross his wilderness home - the deserts and forests, the mountains and seashores of the USA. So he carries with him instead a "Book of Nature" his mother gifted him at birth many years ago, a book she received from her father and to him from his mother before. A very heavy book, the weight of our world lives between its covers. But it knows a lot, this book, and it shares its knowledge with anyone that asks. When life puzzles him or mystifies a friend - or even a stranger - he pages thru this very intelligent book until he finds the truth. Sometimes a difficult task - but he never gives up. Monkey44 offers one piece of advice to all :: Offer respect and provide guidance for our youth, but allow each child to find its own personal book of life, add to it meticulously, and trust it always. Pursue enlightenment with care >>> Believe not everything you hear, nor everything you see, nor everything planted in the web-net garden. Know it too, that shiny black box hung on a belt may contain work and play and all its pleasures, but often neglects the simple reality of life.